SiriusXM Internet Radio allows you to access over 100 channels of fully licensed music for business. 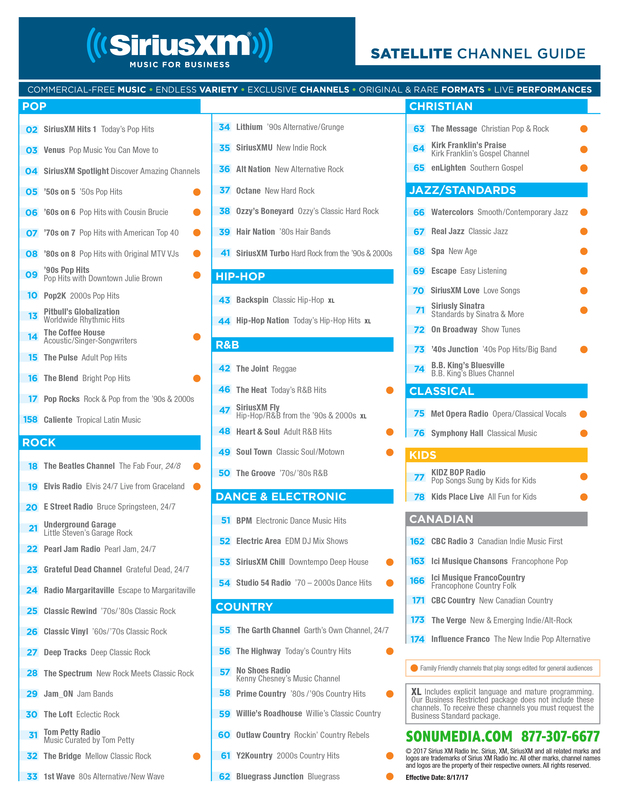 30 of these channels are programmed with ZERO DJ or Commercial Interruptions, so your sales floor never skips a beat. 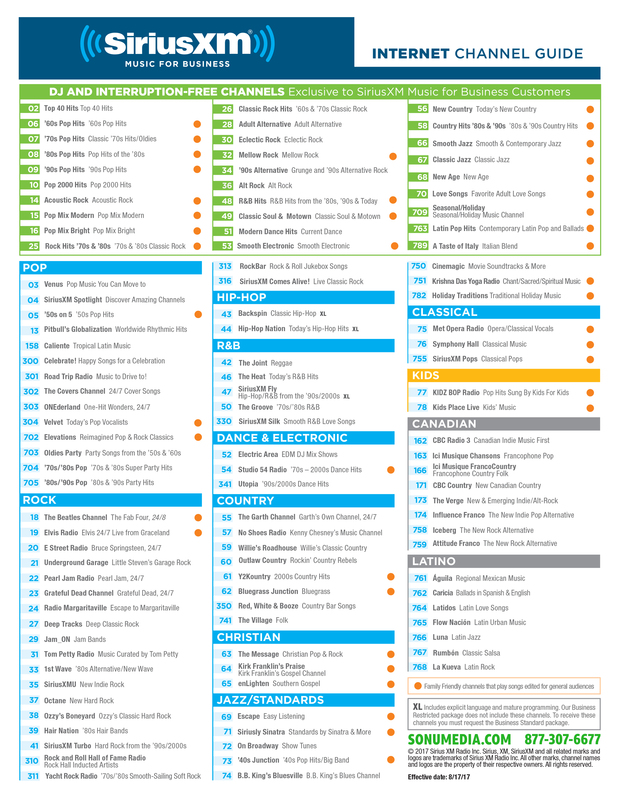 Over 40 of the SiriusXM Internet Radio channels are programmed as “Family Friendly” stations for businesses with family atmospheres. No computer is required. You can connect your internet player using Wi-fi® or Ethernet connectivity, allowing you the flexibility to place the unit virtually anywhere within your business. With our online portal, you can set schedules to play different channels during the day making Internet Radio an ideal solution for background music in any size and any type of business. 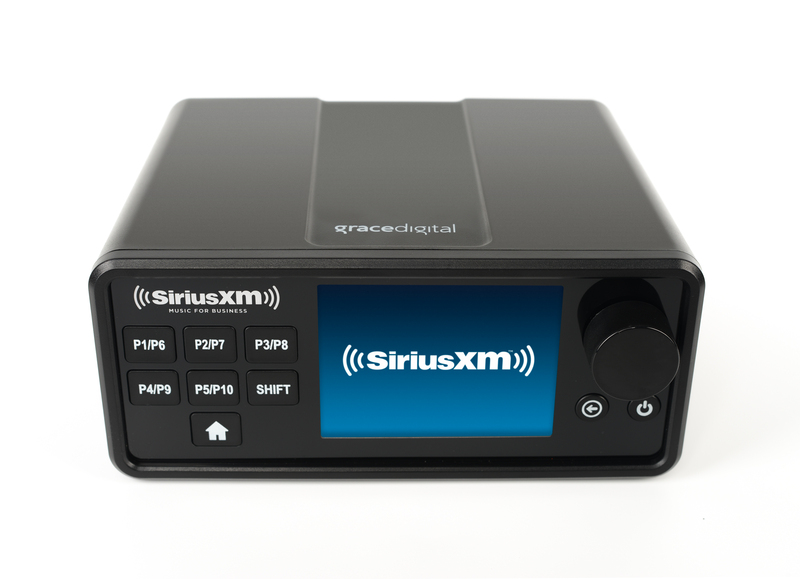 SiriusXM Satellite Radio for Business can be used almost anywhere, and does not require an internet connection to play. With satellite radio for business, you will receive over 80 licensed commercial free music channels. Family Friendly channels are available with satellite as well. Installation is easy! Professional installation for satellite radio is available – contact Sonu Media for more details. SiriusXM offers a diverse music selection — from pop to jazz, standards to rock, or blues to classical — to keep your customers engaged, energized and entertained, while motivating your employees. *Some exclusions may apply. Some business types require additional licensing agreements.